Vancouver Photo Workshops is excited to host this FREE evening presentation! Rick Hulbert’s Photography is informed by his experience as an internationally recognized, award winning Architect, Urban Designer, and Photographer. While Rick’s talk will touch on Travel Photography, he will discuss how photography can enhance your ability to better see and perceive the urban landscape. Rick will present Six Photographic Challenges that are designed to “up your game” and enhance your photography, regardless of your level of expertise and experience in image making. 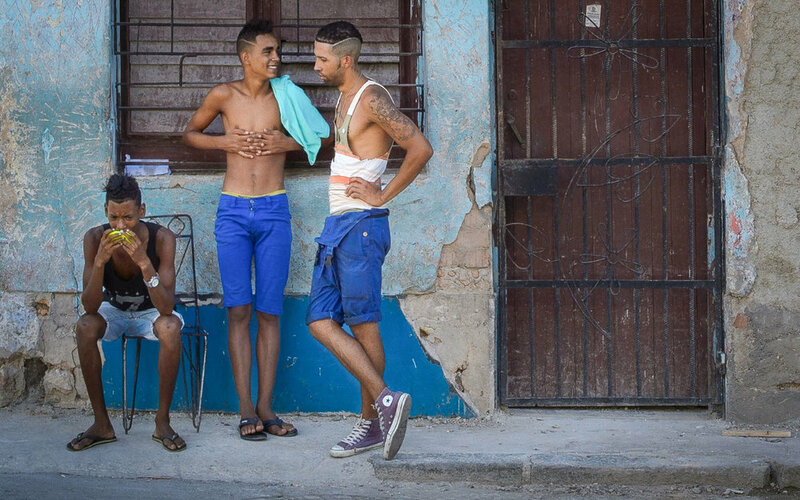 Rick Hulbert and Marc Koegel, the Director of Vancouver Photo Workshops, will jointly be leading the Cuba Urban Travel Photography Workshop in early March of 2017. You won’t want to miss this presentation which is free to our student alumni and the public at large, so bring your friends. Expect the presentation to last for about 90 minutes, with time for your questions afterward. We will also host a draw for some amazing door prizes. Please note that despite the fact that this event is free, we do require a quick online registration from everyone wishing to attend. This guarantees that we have enough room for everyone. We will check your names of our list when you arrive - no walk-ins please. This event is held at the Beaumont Studios, 326 West 5th Avenue in Vancouver. Free street parking located just outside. Closest Skytrain stop is Stadium or Olympic Village. Bus stops along Broadway and Olympic Village. Event begins at 7pm and will be wrapped by 9pm. Also, click to learn more about the Old Havana, Cuba Workshop with Rick Hulbert and Marc Koegel, taking place March 1 - 4, 2017.